Workplace coaches and athletic coaches don’t have as much in common as you might think. So, what does an executive coach really do and how is it different from what happens on the sports field? You need look no further than my family room for the answer. There is no doubt that it’s football season in my house. All screens big and small are tuned to all-things-football all the time. Or, so it seems when I’m trying to concentrate on something really important like, say, writing a blog post. It’s the sound of the constant whistles that frazzles my nerves and pulls at my attention (when I’m not watching the game). Numerous time-outs and flags on the play elicit the high-pitched whistles that trigger reactions from the coaches on the sidelines. Whistles or not, these coaches react, give direction, shout out what they want the players to do and not do. The energy! The drama! The emotion! And that’s just from the armchair quarterbacks and the fans in the stands. Coaching in sports is all about directing. More often than not, that direction comes in the form of yelling and telling. The coach is the one with the answers, the tips, the feedback, the advice. The best coach is an executive’s confidential thinking partner. A trusted listener who can help individuals and groups make connections between what’s happening now and the future they want to create. Organizations use trained coaches in a wide range of situations of various sizes and scopes. One large accounting firm hires a coach for every new partner annually. The partner and the coach meet monthly to set goals, discuss progress and work out strategies for any bumps in the road that are showing up along the way. 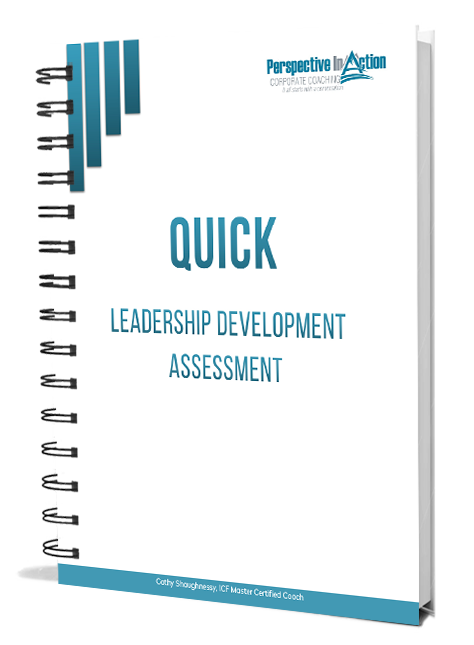 A public sector organization runs a group coaching program for emerging leaders in which a coach works with newly promoted employees to discuss leadership principles and development plans. A private sector CEO meets with a coach bi-weekly to figure out how best to align his executive team’s priorities to the strategic plan. An entrepreneur engages coaching as a way to formulate his exit strategy and plan for the eventual sale of his business. A Human Resources Director ensures that a coach is assigned to all new hires as an integral part of the on-boarding process. Whatever the project, the highly skilled coach recognizes that the real experts in any coaching conversation are the coachees themselves. Excellent coaching then, is respecting the brilliance in the coachee and understanding that the people being coached are fully capable of creating their solutions. A truly gifted coach can dig under the toughest situations in search of the quantum leap. With football underway, baseball drawing to an exciting close (Go Blue Jays!!) and the hockey season poised to begin, there will be no shortage of armchair coaching ever within earshot at my house. A constant reminder that in my work, coaching is not yelling, or telling or having all the answers. It’s listening, observing and having all the questions. That’s my perspective anyway. What’s yours? Are you a coach? What’s your opinion? Before you go, write your comments below. I’d love to hear from you! Oh, and don’t forget to Share this post. Here are five great reasons to comment on a blog. Want to know more? Get the book! Masterful Coaching by Robert Hargrove. 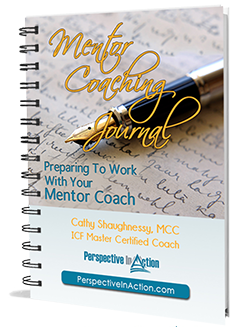 What I love about this well-written post is how Cathy’s debunked two of the most persistent myths about coaching. I agree with how she defines the role of a coach, aligned with ICF. 1) The myth that coaching is advising. As a former management consultant, ethically I hold a boundary between that type of advisory and direction-oriented work and coaching. This distinction is vital to helping your client self-discover and gain the intrinsic learning they need to move forward. Advising can be a crutch or a band-aid for quick results, but lasting change must come from within. 2) The myth that coaching is for remedial cases when a person is not performing. Working with high performers, it’s quite the opposite. Everyone has room to grow. Everyone has an inner critic (negative self-talk) and career obstacles that are best challenged with the help of an objective thinking partner. Even successful people know in their heart they have an even greater capacity within them. A coach helps them harness that. Thank you Cathy for your thought-leadership on this subject! Hi Vivane – Glad to hear that the post resonates. Thanks for commenting. Jessica – Love your comprehensive reply. Thank you. As you note, the myths are still being tossed around as truths. Compliance is not necessarily the same thing as commitment in behavior change. Greater capacity – as you so aptly put it comes from conversation. Thanks for sharing your thoughts. On the issue of ‘suggesting’, sometimes when you’re coaching it becomes clear that the coaching participant is lacking useful information. 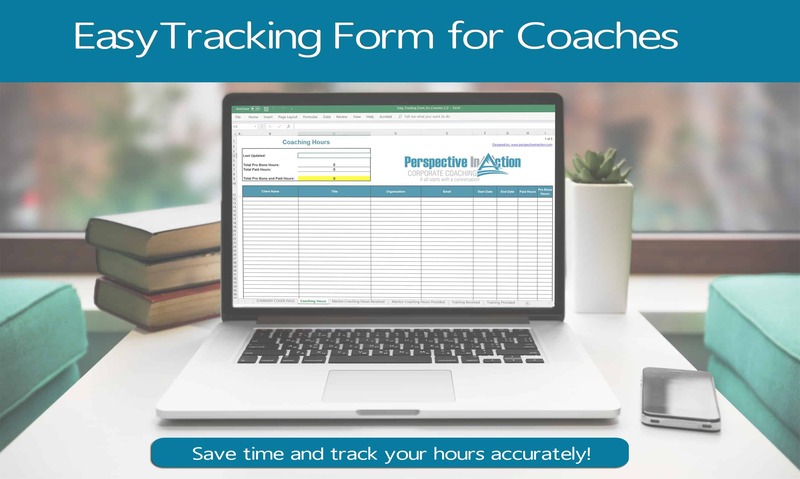 As the coach, you can point them in the direction of an article, blog post, book, training course and even tell them what someone else did to provide the necessary information to help them move forward. Sometimes there’s value in letting them get there on their own but sometimes there’s value in giving them a helping hand. I think the trick is knowing when to do one or the other. This is where your experience and skill as a coach comes in, first in deciding on what’s the best approach and, secondly, on making the approach you choose work. So, yes, I think there are definitely times when the coach can and should be more directive. Hey Kevin – Thanks for weighing in on this sticky subject. Sounds like it is a bit more of a sliding scale for you on when to step in and when to hold firm. I respect your viewpoint. Thanks for this inspirational blog. I particularly loved your definition of a coach as: “The best coach is an executive’s confidential thinking partner”. Also your comment: “A truly gifted coach can dig under the toughest situations in search of the quantum leap” is a huge part of being a coach in the executive suite and it takes courage to enter that arena! Many thanks for taking the time.. Happy to hear that you found the post inspirational Laurie. “Confidential thinking partner” is a description that seems to really resonate with potential coachees. I think Robert Hargrove was one of the first to use the term in his book Masterful Coaching. Glad it sits well with you too. 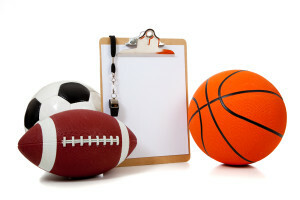 Great explanation of the difference between athletic coaching and executive coaching. I have a sister who is an athletic coach so this definitely resonated with me. Both she & I shared this post across our respective social media sites. I see my job as a coach is to help the coachee to achieve a much better result than they can on their own.Part of my tool kit is to motivate inspire and instil belief they can do it.If the coachee is unsure and asks me a question I answer it and give my opinion and advice.That is surely what they are paying for-the benefit of my experience. In some cases, I wonder if the coach dose not have to suggest ides to the coachee (via questions) at least for a temporary unfreezing of a situation. Somecoachee may remain blocked for a long time especially those lacking in self-confidence. Acting to ensure they find a way and define their action plan can increase their confidence in themselves and start their transformation process. What do you think about the principle? And regarding ICF compétences & ethics? Viviane – Thanks for posting. I love the image of a ‘speaking mirror’. As to your point on suggestions, this is is definitely a slippery slope from my perspective and quite a hot issue across the professional coaching community. It’s interesting to consider the impact of suggesting ideas via questions. Do we rob the coachee of the opportunity to learn something important from their ‘stuckness’? From a purist point of view, as suggestion is a direction, even if it has a question mark at the end. I’m interested in what others might think on the issue. Anyone else want to weigh in? Ah yes, the RIGHT answer! Oh how easy it would be if we were all assured of that. I sometimes wonder if the need to provide an answer comes more from the desire of the coach to fix the problem, or to be seen as ‘successful’. I think we bring the most value when we dig around a bit more and encourage coachees to find ‘their right answer’. The ICF in the core competencies makes the distinctions between coaching, consulting , psychotherapy and other support professions. “Sports coaches” direct for sure so does that make them consultants or coaches? Great point Debra. The distinction may be in what constitutes consulting versus coaching from an ICF perspective. 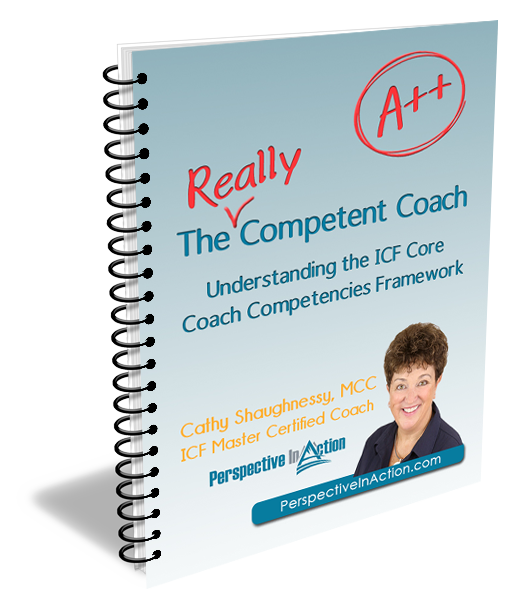 Perhaps direction does have a place in some types of coaching, (and the coaching may still be effective) but not in coaching that is aligned with the ICF competencies? One of the experienced coach that taught me the practice gave me the best definition of coaching he had : the one of his 8 years old son. I agree that answers and expertise belong to the coachee. A coach is an expert in creating a relationship with the coachee to help him find is own solutions. It’s very very very different of sport yelling coaching approach. As a matter of fact, the use of the same word of “coaching” can raise a real identity issue for “workplace coach”. Even in French. An engineer in questions! I haven’t heard that before, it creates quite a picture. I like it! Thanks for sharing. Executive Coaches listen, observe and ask questions to elicit a client’s own wisdom. Thanks for commenting. When a pun works, use it I say! Well put. As an Executive Coach with a very successful practice, I disagree with the claims made in this post. Leadership Coaching as well as Emotional Intelligence or “disruptive behavior” coaching requires knowledge of the competencies involved in the actual work. I not only give advice, I actively provide information designed to lead to skill enhancement in these areas. In addition, I use Pre and Post Assessments along with ancillary training material including DVDs and client workbooks. A difference of opinion is a good thing George. I thank you for sharing yours.